There was no significant association between use of selective serotonin reuptake inhibitor (SSRI) antidepressants during pregnancy and risk of stillbirth, neonatal death, or postnatal death, according to a study of nearly 30,000 women published in the January 2 Journal of the American Medical Association. Researchers at the Karolinska Institutet in Sweden obtained information on maternal use of SSRIs from prescription registries for women with single births in Denmark, Finland, Iceland, Norway, and Sweden at different periods from 1996 through 2007. Maternal characteristics, pregnancy, and neonatal outcomes were obtained from patient and birth registries. Among 1,633,877 single births in the study, there were 6,054 stillbirths, 3,609 neonatal deaths, and 1,578 postneonatal deaths. A total of 29,228 (1.79 percent) of mothers had filled a prescription for an SSRI during pregnancy. Women who used an SSRI did have higher rates of stillbirth and postneonatal death than those who did not, but statistical analyses showed that the increase was due to other factors—such as severity of underlying psychiatric illness, smoking, and older age—that were more common among SSRI users. 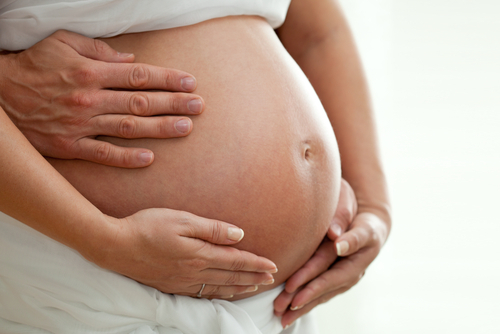 “[D]ecisions regarding use of SSRIs during pregnancy must take into account other perinatal outcomes and the risks associated with maternal mental illness,” the researchers concluded. Read more information about antidepressants and pregnancy in Psychiatric News here. Also see the new issue of the American Journal of Psychiatry here.